Mario has worn a lot of outfits in his entire career in the video game industry and Nintendo is paying tribute to it in Super Mario Odyssey where you can change his outfit to various outfits that Mario has worn. Nintendo went deep into his history and choosing outfits from obscure spin-off games and promotional artwork but here are 5 costumes that Nintendo forgot to include in Super Mario Odyssey. When choosing this list I made sure to only include outfits from games and/or official promotional artwork. 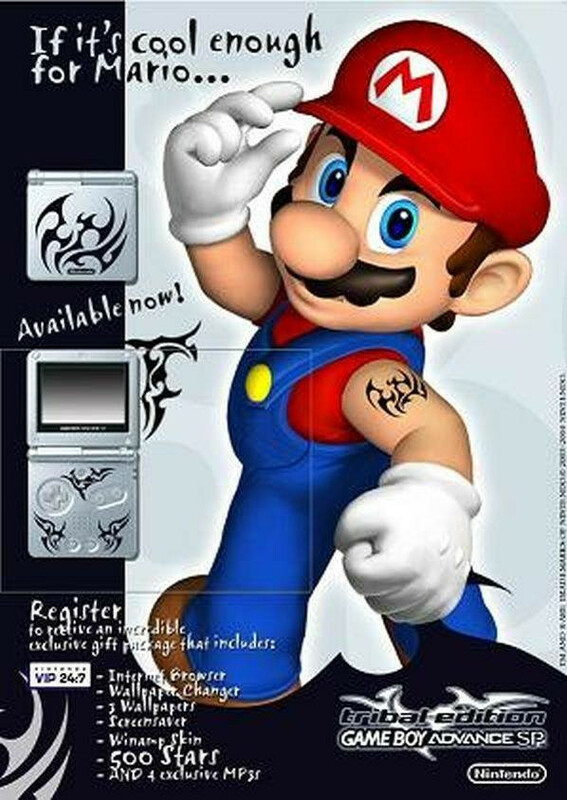 Let’s begin with sleeveless shirt Mario who was featured in the ad for the Game Boy Advanced SP Tribal design. Theory on the internet goes that he hasn’t really been shown without a shirt since then so that canonically Mario still has that tattoo. Now that we have shirtless Mario in Odyssey some people were bummed but that’s only based on artwork that may or may not have taken place before the tattoo or it was a temporary tattoo like Peter Moore’s GTA tattoo. Missing from the game is a completely sleeveless shirt as pictured here in this advertisement. Also missing is the blue suit and blue capped Mario outfit that Mario wears as a referee in Mario Tennis 64. He can’t be seen very well in the game but here is a ripped model of him. 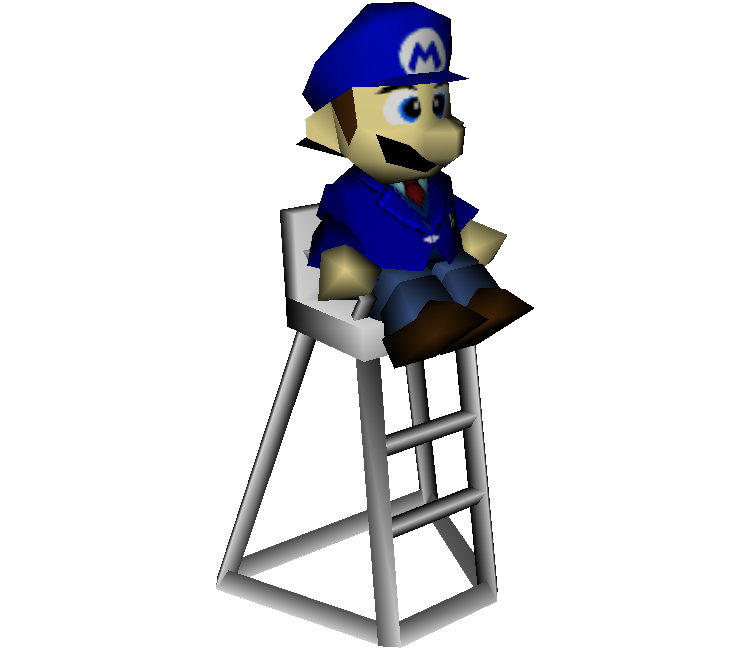 While he has created rumors of blue Mario, I always understood it as a reference to Tennis on the NES and Game Boy which had Mario as a referee and he seemed to be wearing a blue outfit. So it was included in the Nintendo 64 game to reference these earlier Nintendo Tennis game but didn’t make the cut for Odyssey. Normally Mario sports titles have him play in his traditional outfit, which while its a shame it’s mostly done for marketing purposes as its easier for people to recognize Mario with his traditional outfit. 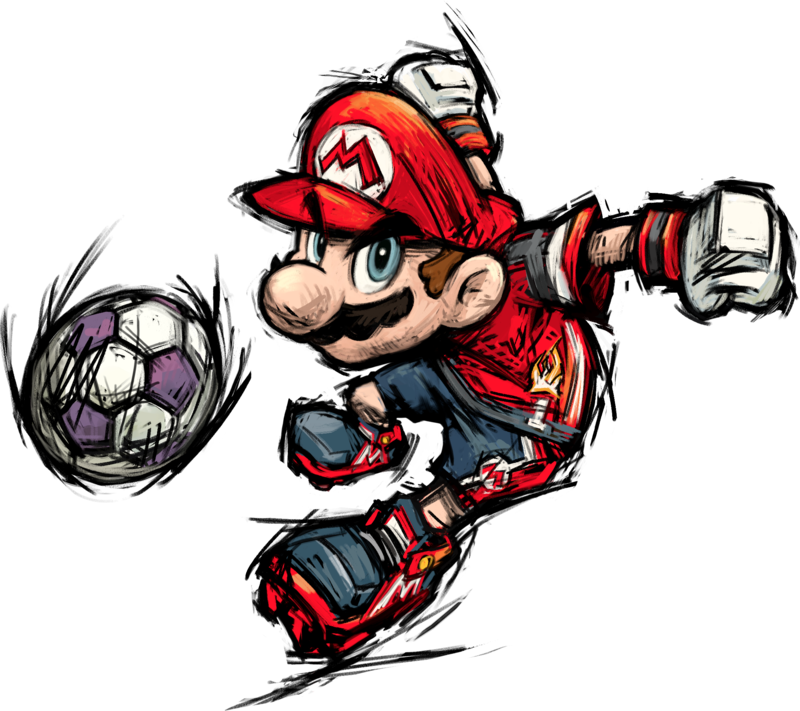 Mario Strikers or Smash Football is a soccer game that had a radically different art style than normal Mario Games and one of the few Mario sports titles that has him wearing an outfit more in line to what the sport dictates he should be wearing. Awesome underrated game and awesome outfit that was also skipped. With more than 10 Mario Party games, it really is a shame that only one has ever featured different costumes depending on the board. That game was Mario Party 2, and while the main Cownboy outfit does get referenced in Odyssey the others do not, which is a shame since Wizard Mario from the game is one of the coolest outfit Mario has ever had as we get to see him go full LARP mode. Finally we have the time that Mario decided to become MC Mario as a full time rapper for the Mario Pinball Land commercial, he didn’t change his outfit for Dance Dance Revolution but that wasn’t serious free-style rapping like he needed for the ad which gives him a complete rap outfit for him to throw rhymes with. Possibly the biggest loss in this list. Finally we have a Pumpkin wearing Halloween themed Mario which might seem like its a bit obscure until you realize that another outfit from this same calendar which this came from did make the cut. Counting its October and that Halloween is an awesome holiday that even Sonic the Hedgehog had Halloween themed costumes in Sonic Adventure 2, it’s a shame they weren’t included in Odyssey.